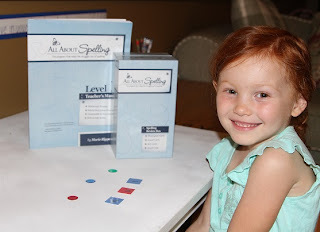 If you're looking for homeschool curriculum for the fall, or perhaps just want to help your child hone in on his spelling skills over the summer, then you might want to check out All About Spelling from the All About Learning Press. All About Learning provides complete Reading and Spelling curriculums based on the Orton-Gillingham approach and the latest research. Marie Rippel developed these two in-depth programs as a result of her own son's struggles with reading and spelling. You can read her full story here and for my review of All About Reading, click here. 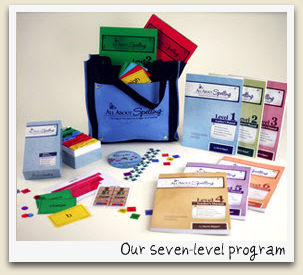 The All About Spelling program includes seven levels and we reviewed the Level 1 Materials as well as the Deluxe Interactive Kit. 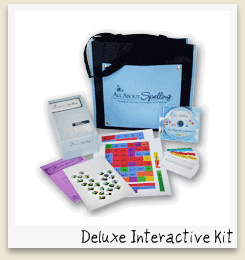 This spelling program uses a Multisensory approach to lessons by using sight, sound, and touch. There is continual review throughout the program and only one concept is taught at a time and is mastery based. This program uses letter tiles, flashcards and more to give your child a hands-on approach to spelling. It is anything but a "here's your list of spelling words for you to write out each day and I'll quiz you on Friday" type approach. Instead, it is a parent/teacher directed program that requires interaction with your child and about 10-20 minutes per day. All About Spelling is mastery-based so it allows your child to learn at his own pace. This program is appropriate for beginners and struggling learners and in my opinion, for anyone who wants to make sure their child has an excellent spelling foundation. 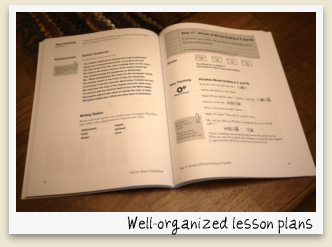 Each concept is reviewed frequently so a child will not forget what he has been taught. This article may help you decide if All About Spelling is right for your situation. I wanted to try a program like this because while our children didn't necessarily struggle with spelling, I felt that our former program did not teach spelling skills adequately. I wanted to make sure that our children had a good phonics base, as well as the skills necessary to spell more difficult words down the road. For that reason, I spoke with a consultant from All About Learning and was advised that anyone new to the program start their child on Level 1 regardless of their age or grade level. That being said, our two older children both started on Level 1 a few months back. While I can't say that we are loving the program, I feel that it is worth sticking with because of the skills that are taught. And, to help encourage our children I chose to set a timer for 10 minutes for each lesson and covered what we could during that amount of time rather than trying to complete a lesson in one sitting. I'm hoping that as we progress, our children will enjoy it a bit more. I feel that their lack of enthusiasm towards the program is stemming from the fact that they find it easy and repetitive. That being said, we will still continue to use this program in the fall and see how we're doing then. If you purchase the materials and are not fully satisfied, All About Learning allows you to return the materials for a full refund up to a year later. I hope you found this review of All About Spelling to be helpful!